Chris Christensen Chris Stix covers stains and flaws in the coat colour. It will not rub off or smear, and lasts until you shampoo it out. It has excellent coverage, even after brushing through. 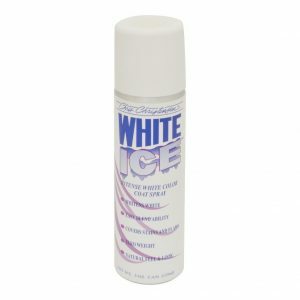 Chris Christensen White Ice intense white colour coat spray will intensify even the most beautiful of coats. Flexible and non-tacky, it leaves the coat with a natural feel and look. Chris Christensen Thick N Thicker whipped creme mousse adds volume and shine while infusing nutrients that enrich the coat with viatmins and fatty acids. It provides an instant cure, from flyaway hair to controlling frizz. 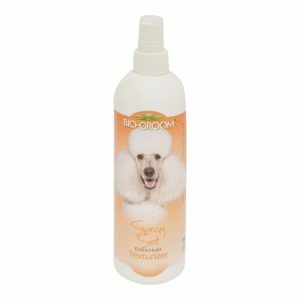 Biogroom Spray Set extra hold texturizer Has been specially formulated for breeds where a firmer coat texture is required. This quick-drying spray gives extra hold and texture to the coat without making it stiff or tacky.